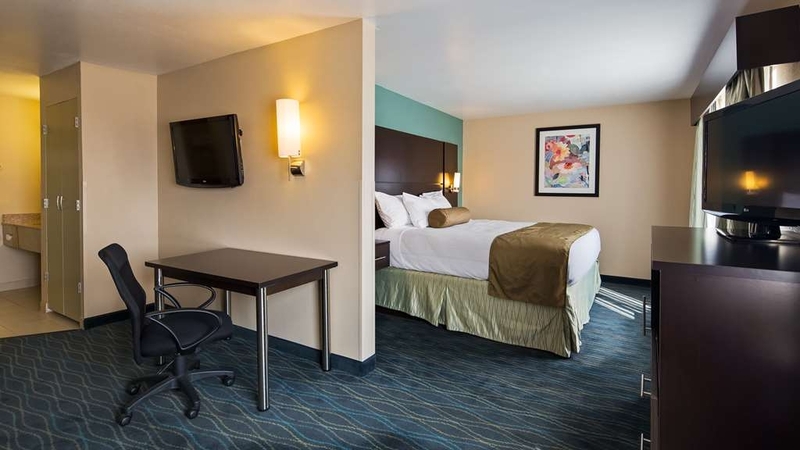 El Best Western Plus University Inn se encuentra en el centro de Marion. Venga y disfrute de las mejores atracciónes turísticas cerca de nuestro hotel. Precios bajos garantizados y ofertas exclusivas. Bienvenido al recién remodelado hotel exclusivamente para no fumadores Best Western Plus® University Inn de Marion, Ohio. Este hotel goza de una fantástica ubicación junto a la carretera US-23 y la carretera nacional 95 en el distrito empresarial de Marion. Este hotel está situado asimismo a sólo unos minutos de numerosas atracciones locales, entre las que se incluyen la casa del Presidente Harding y el monumento Harding Memorial, la atracción Mysterious Revolving Ball y el Veterans Memorial Coliseum, situado en el recinto ferial del condado de Marion. Los huéspedes en viaje de negocios podrán disfrutar de un magnífico acceso a ConAgra Foods, US Yachiyo, Nucor Steel, POET, el Hospital General de Marion y la Universidad Estatal de Ohio, lugares situados a sólo unos minutos del hotel. Nuestra sala de reuniones de 59 metros cuadrados ofrece el espacio idóneo para todo tipo de eventos corporativos. Aquí podrá encontrar también un innovador gimnasio, desayuno caliente completo gratuito, piscina cubierta, acceso gratuito a Internet de alta velocidad y un centro de negocios. Las 60 habitaciones de este hotel recién renovado cuentan con colchones Serta® Plush, televisor con pantalla LCD de 37 pulgadas de alta definición, microondas, nevera, plancha con tabla de planchar, cafetera, secador de pelo, escritorio ejecutivo y sillón. Tanto si se encuentra en viaje de placer como de negocios, aquí podrá disfrutar de una confortable e inolvidable estancia. Realice su reserva hoy mismo y conviértase en uno más de los viajeros que entran como huéspedes y se van como amigos. Don't expect a beautiful hotel. It was extremely busy due to a Robtics Tournament. Over all it was clean. They need to pay more attention to details and follow up on checking the rooms. We had a TV remote that had no batteries and was very dirty.. The bathroom lighting was terrible. I would visit it again when it wasn't quite so busy. The help was very friendly. From check-in to check-out, this stay provided exactly what I needed. A good nights rest in a quiet clean room. Everything worked as expected and I was treated with respect. Location and price was just right for my trip. Will definitely stay here again in the future. Stayed here while in town for my brother's funeral. Everyone was very friendly and helpful; front desk, housekeeping, breakfast worker, and manager who helped us with the business center printer toner cartridge. 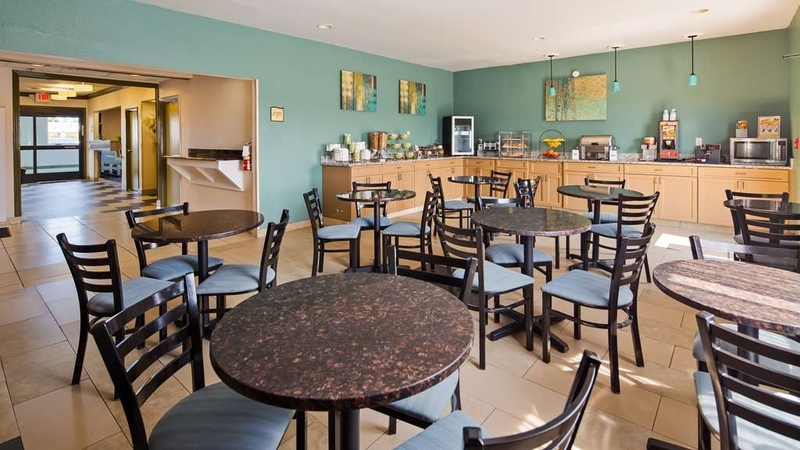 Hotel was clean, quiet, and well situated with restaurants and shopping near by. Heat worked great during the arctic vortex that hit Ohio! Would definitely stay here again! "Comfortable.Good value for stay. Hot breakfast. Close to Meijer." A snow storm caught us by surprise. They had 2 rooms left and we had 305 on top floor by elevator and ice/snacks.PROS No noises could be heard in room.Good quality firm beds. Soft water, hot shower.Working fridge and other appliancesHot breakfast, simple but beyond cereal and pastiresMeijer grocery located in same shopping areaVery clean roomsBedbug freeCONSUsb port box to chrge phones didnt work- thank you meijer for being open!Tub drained very slow...took shower in standing waterAir filter for air conditioner had caked layers of lint on them. Used hotel towel to wipe off and tap off before returning so that the unit would work right.Bill was not matched to online promo code as promised. An amt in the middle was offered instead.Had to wait on staff in am to check out...finally went behind desk and down hall to get herTold her of the problems and without taking notes she said ahe would let maitenance guy know. Nit very friendly or customer service focused.Overall good stay but will check these things as soon as i arive next time. Would stay here again. "Wont be staying here again"
The workers weren't helpful, everything i asked for wasn't resolved except for they did replace the iron that wasn't working. Our phone wasn't working so i reported it and she said she would tell her maintenance and it never got replaced. The workers didn't wear uniforms or name badges so you don't know who workers there, especially the breakfast lady, she wore sweat pants and sweat shirts, very unprofessional. Stayed 2 nights for a business trip. I read the reviews after I booked the hotel and was not looking forward to it. But I was pleasantly surprised. Friendly staff. The hotel was clean. Yes, you can tell it's an older property but my room was up to date with everything I needed. I got one of the suites which had a lot of room at a good price. I would definitely stay here again. My only criticism is that the breakfast wasn't great. I ended up getting food somewhere else. From the second I drove up, I was annoyed by this place. There is a huge "enter" sign pointing to the back of the hotel for some reason, so I believed it instead of going to the front desk entrance. Why? Not a big deal, but just a sign (ha). And then when I walk in, the front desk clerk just stares at me. So you want me to lead this off, then? I think this is a record for how quickly I can get annoyed by a hotel. The hotel is super old and dated, but the parts that matter have been replaced. It seemed clean. The internet was good when it worked, but that was intermittent. The sheets were on inside-out, and not fully on the mattress like they should have been. The bed was not the most comfortable. The shower was too short, and slightly below-average pressure. Whatever they use to clean the floors and shower is very slick and not rinsed off, so everything is slimy and slippery. Little things are not quite right like the broken toilet paper holder, and a drawer that doesn't stay shut. The breakfast was below-average. I'd probably avoid this place if I'm ever in the area again. at check in, manager on his cell phone the whole time, and a very dressed down person at the check in said they needed a card to charge. I said I want to pay in cash on my last day for the bill. They still needed a card to place a hold on. I gave them my card, and they placed a hold on it. Im thinking like a gas station places a 1.00 hold, to verify the card is good. The next day my bank calls and said im overdrawn by 240 dollars, because best western's hold wasn't a dollar... it was for the full amount. 305.00. While at work, I tried to call the place im staying at over 20 times from 4:00-5:30 and it just rang and rang. I finally called corporate office, explained what happened, and they put my hold trying to get a hold of same place i was staying, they couldn't get anyone to answer either, so they gave me a ticket number, and said the issue should be resolved in 7 days! When I returned for my 2nd night, another VERY dressed down person at check in counter, I asked about the hold, she argued with me about only 100.00 was held, and that I have another balance at check out. She did not know what I was even talking about. I showed her on my cellphone my banking statement of the overdrawn account made by best western. She argued that that isn't true. I just left her, because she was NOT going to do ANYTHING about it. Hair up in do-rag, holy t shirt with stains on it and sweat shorts... VERY unprofessional. The staff at check in counter all 3 days looked like the just came home from working a 12 hour shift at a tree nursery or something. The staff cleaning the rooms at least had on the same shirts. However they all were in line before me at breakfast and left me with i triangle egg and 2 pieces of sausage links left. "Absolutely Adequate and I'm a fan"
This hotel is a great example of a property that does the best with what it has. Although you can tell it is an older property that has been updated with modern décor. The carpets, window treatments, light fixtures, art etc are all a step above what you might expect at this price point. The rooms are a bit small. I'm not sure a family of four like mine could do more than a couple of nights here comfortably, but the space is certainly adequate for a couple. 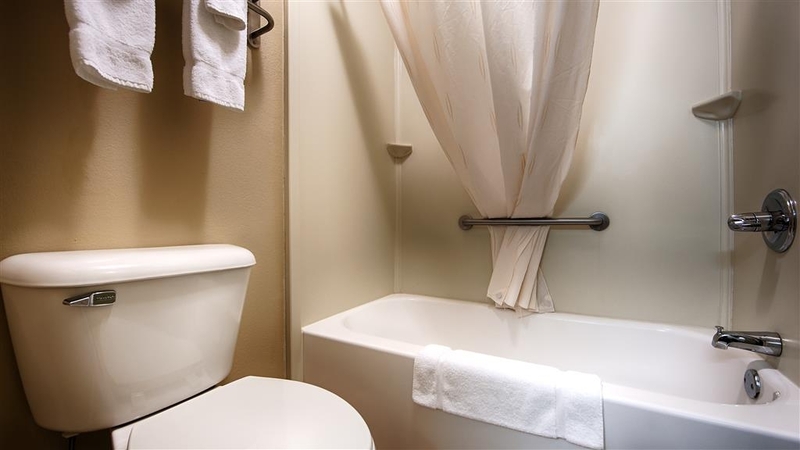 The toilet and tub/shower are separate from the single sink area which is part of the main room. The sink does have a granite counter top surround however. The mattresses and pillows are a good quality. The room has a small microwave and one of the largest refrigerators I've ever seen in a room. It even has one of those elusive freezer areas. There is a Meijer supermarket right behind the building so you could certainly load up the fridge pretty easily if you'd like. I could hear hallway noise quite easily, but I didn't notice any sounds coming from adjoining rooms. One of the best things about this property is that it is very clean. Everything was clean including the lobby, rooms, and pool area. My kids enjoyed the basic pool quite a bit. It was bright, clean and the water was warm. The spa/hot tub was not working on our visit but there were towels available in the pool area. The complementary breakfast is better than average. All of the baked goods looked rather dry, but I tried the fried egg and the cheese omelette which weren't too bad. Everything is simple but for the price you pay, the value can't be beat. They have a waffle maker and other continental breakfast items. The oatmeal toppings were better than average with raisins, craisins, flaxseeds, walnuts and coconut. Overall I would say that this hotel is not fancy but the staff is very friendly and the property is absolutely adequate. I would stay there again. 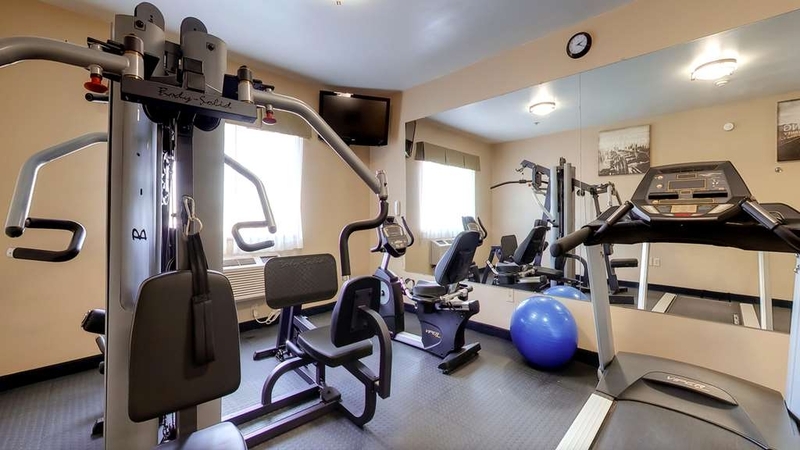 "Clean, quiet and close to other eating amenities and service stations"
This facility was impeccably clean, and pleasantly furnished. When we commented, we were told it was under recent new management. Best of all, it seemed to be well soundproofed, so that we were able to get a full night's sleep with no noise interruptions. The bed and pillows were an ultra comfortable combination......will be buying one of their pillows. The complimentary breakfast enabled us to get on the road before commuter traffic hours. We can appreciate the updates that have been done, but felt they fell short in other areas. Check in was slow. The young lady was unsure of herself and didn't engage with us. No mention about rewards points. Made comments about the price "we got" then changed the subject quickly. We can truly say only 2 people made an effort to say hi or be polite and welcoming. For a BWP, this fell below standards. The hallways smelled of strong bleach. You walk right through it and it tracks to your room....then lingers. The hallways are tight, housekeeping did their best to move when we came through (in a wheelchair). The room was small. Overall, updated and mostly clean. The beds were comfy and had several pillows on each. One pillow had a lot of white curly hair on it....tossed it to the floor and used the others after a thorough examination. AC unit worked well, but it cycled on and off (no constant fan), so we were hot/cold all night. Made sleep difficult. TV was a decent size for the room with an okay line up. Need to know: Elevator Guest laundry Pool Large truck/trailer parking is limited, but it looked like you could park in the Meijer lot right behind the hotel. Close to food and shopping!! WiFi worked well and we could stream. Overall it was fine. We'd stay again if in the area. *Suggestion to the hotel: stop using bleach! There are better options that are not caustic, bad for people with breathing problems and whatever you use in the room, it makes the tile floors sticky and leaves behind residue. We checked in for a meeting for a fraternal organization the next morning. We booked on hotels.com weeks earlier, but then had a fraudulent charge on our card and had to get a new account number. I called hotels.com, and they said only the hotel could access card information once booked, so I called the hotel. They assured me it wouldn't be a problem. When we arrived at 9pm, and there was a little issue trying to get the old card removed, but the girl at the desk called her manager and they figured out what to do promptly. Apparently, this situation is rare, but it was quickly taken care of. The room was very clean. My only complaint about the room is that the toilet was super low. I come prepared with my own toilet seat riser, but it was still lower than the toilet at our house with the seat riser on it. Best Westerns always have these super-low toilets, so I think they must be designed like that on purpose for some reason. But I mention it here because this one was lower than others. There was a guest bathroom / family bathroom just down the hall, and that toilet was high, but the right side was right up against a wall so you had to sit underneath the toilet paper holder, which was really awful and difficult to get up from once I sat down. The water pressure was good, and the bedding was comfortable. Coincidentally, as a contrast to the height of the toilet, the bed was at waist-level, and I'm six feet tall. Neither me nor my husband were able to get into bed easily, and we are used to a high bed at home. Breakfast was standard fare for a BW - good waffles, good juice, lots of options. One thing to note is that the eggs had ham cooked into them, so if you don't eat pork (we don't), your options for hot foods are limited to waffles. Overall, a great experience. They took my Money and nerve gave it back. My Card was STOLEN and they told me how come the reservation was made on line??? I DONT KNOW MAYBE CAUSE MY CARD WAS STOLEN. Then I spoke to a lady who Halim that told me she was the GM. Then slip and said she was just a manager. She called me a liar because I made an account from the Best Western Website. Then she told me that a employee told them I called and said I canceled it BS!! They just want your money. WHY WOULD I AMKE PLANS TO COME AND NOT SHOW UP AND ATLEAST CANCEL THE ROOMS. "Good Place to Get Some Good Rest"
Our rooms were inviting and clean. The decor was modern and calm. The mattresses and bed linens were extremely comfortable. The location was perfect, close to highway. Staff friendly. We would stay again. 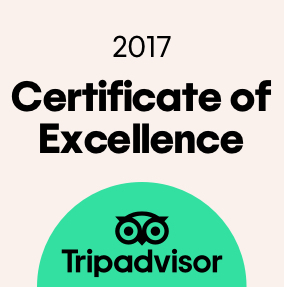 Thank you for taking time to review our hotel.I will share this with our team to provide positive encouragement to continue to the provide best customer service .I hope you will visit us again soon. Well where to begin? Apparently the employees are invited to eat their breakfast from the Breakfast Bar and BEFORE all the guests can get their breakfast leaving the heated meat and eggs and such pretty much empty and little to choose from for the guests. We were there two nights and the same thing happened both mornings. We witnessed employees filling heaping plates of food, taking them from the breakfast room leaving little for the guests to chose from. That wouldn't be so bad if they had kept the serving bins replenished in a timely fashion, but with only one person working the desk and the breakfast room..... well pretty difficult at best. The milk canisters were not keep up with sufficient milk supplies. The pastries were mostly stale and somewhat hard. It was difficult to sleep if your room is near guest services and the laundry for all the door banging going through out the night. And the hall entrance/area close to the pool smelled of mold. The room itself was pretty nice. May have to rethink staying here again. We really enjoyed our stay at the Best Western. The staff is wonderful and kind. The beds were comfortable. The breakfast was good. And the coffee was strong enough! ( my biggie!). The housekeeping staff went over the top to help us. We will be back. Terrible. We are a nonprofit and booked 2 rooms for one night here but needed to move the reservation to another location within 30 minutes of making our reservation at this location. We contacted hotel to see about making this change, WEEKS before the reservation, and was told no, they wouldn't move reservation or refund us, even partially. It's not like they were out any money. They still could have booked those rooms, but instead of agreeing to modify or cancel reservation they refused, let it stay booked knowing no one would be checking in and refusing to return our phone calls after many attempts to speak with anyone in charge. I can't tell you if the hotel is nice or not but if the attitude of owners and lack of management is any precursor, I can't imagine a good night's stay. We did cancel your reservation free of cost and called Expedia to relocate you even though it was guaranteed reservation.Expedia have created case number for our request if you need we can provide you.Our front desk called you multiple times at the number you have provided in you reservation but it always went into voicemail,we left massages about free cancellation.You booked wrong property and we cancelled your booking free of cost.Its not fair to us After all the help ,you gave us negative feedback. I had a great experience at this place and enjoyed my whole stay here. Room was clean and bed was comfortable. Enjoyed game on ESPN. Liked their breakfast, have many choices and breakfast lady was nice. Thanks you for providing positive feedback about your recent stay at our property.We work hard to provide best service to our guest.I hope you will visit us again soon. "Great value -- Great service"
Well located hotel has lots of restaurants nearby. 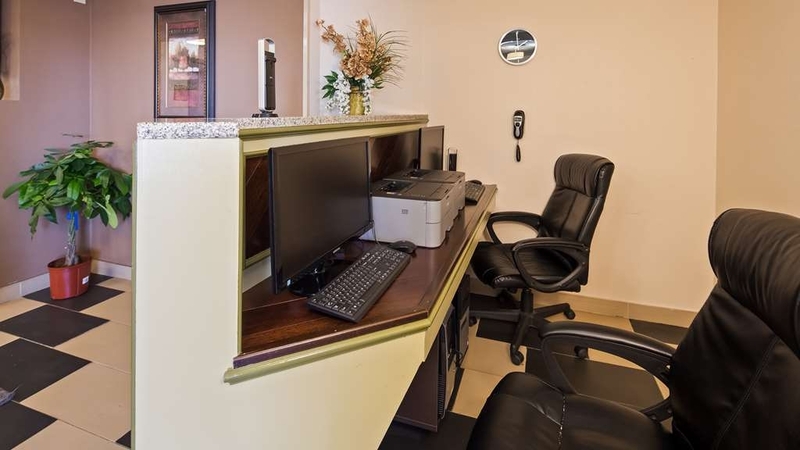 Clean, quiet room, good internet and very helpful front desk went out of their way to help me and others. Good variety of hot and cold breakfast with fresh fruit for the road!! Coffee not so great! Hot tub jets need more pressure but I have already booked for next year. Thanks for positive feedback about your recent stay at our property.We work hard to provide best service to our guests,see you next year. 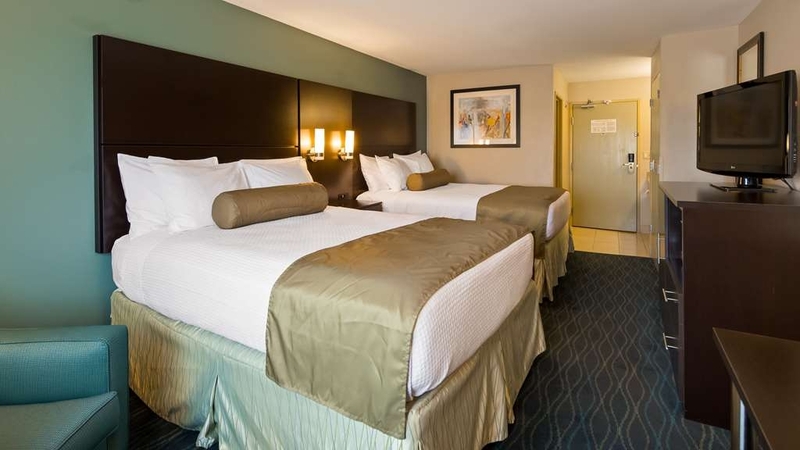 "rooms not set up for handicapped"
The beds are way too high for a handicapped person plus there is not enough room in the room for a handicapped person in a power chair or wheel chair to get around very well. There is too much large pieces of furniture which take up way too much room. 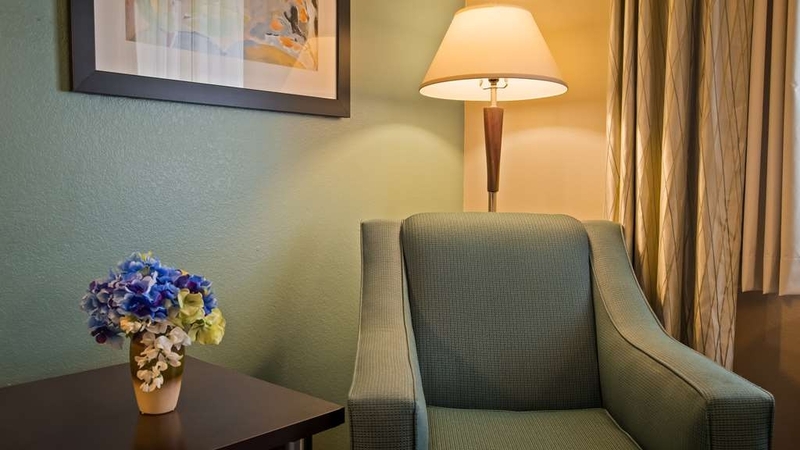 "Excellent overnight location for Small Town"
I have always had good experiences when staying at Best Western. This was second time in a year I stayed at this hotel. I would recommended again. However the desk clerk had problems with the Key Card encoder that didn't work at late night and with only one person on duty, she was very overwhelmed with problem with no SOP to fix it. "Hotel Management and Staff are Outstanding"
Kelsie Waits at the front desk went above and beyond to assist me with my difficult requests for check-in. Management was called to assist and they came through! Every effort was made just to make me happy! 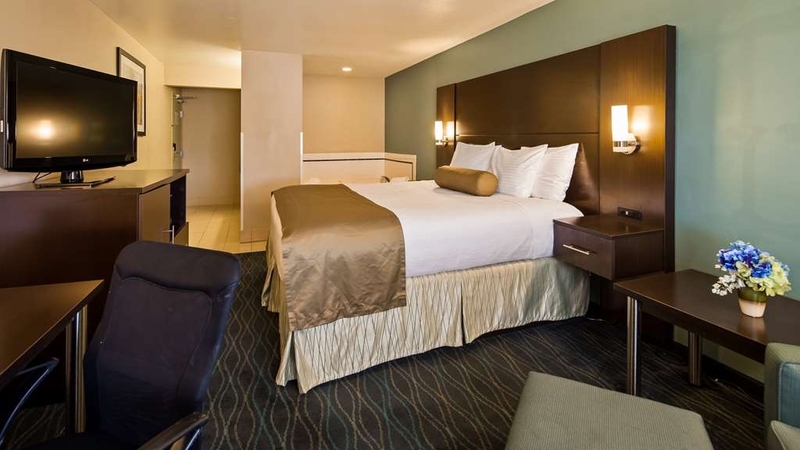 The room is plush and the bed is even better! I couldn't be happier with this hotel!!! I will be back! "Don't stop! You don't need to sleep that bad!" 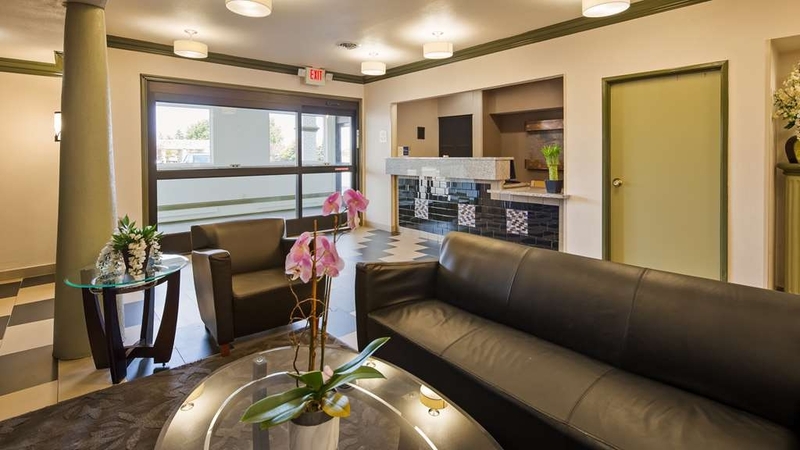 "Pleased every time I stay"
This location is clean, neat and well maintained. I have stayed here for the past 3 years and would not stay anywhere else when coming to Mid Ohio. Great location for shopping, coffee shops and restaurants. Visited Marion, Ohio for the historic site. (President Harding). Beautiful area, with rolling hills, farms, great business district. 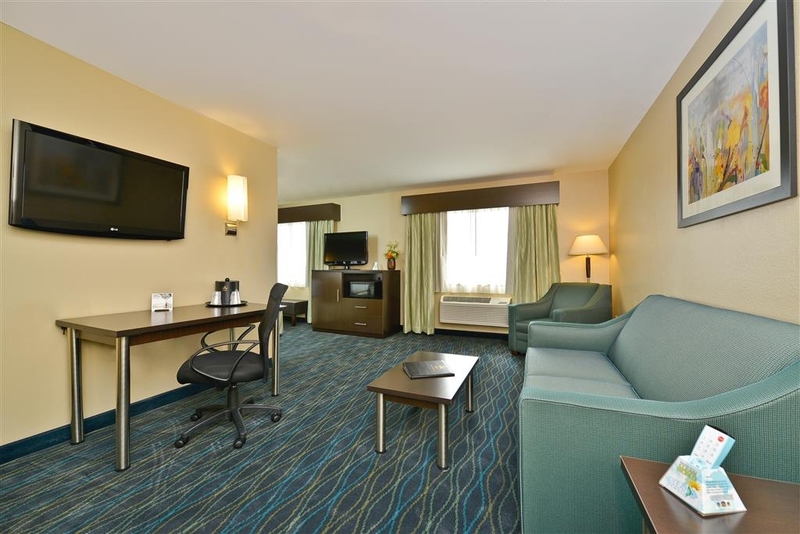 Short drive from Cleveland, stayed at Best Western Plus. The location was close to malls, restaurants, & grocery store.. Big plans for the area in 2020, Harding Presidential Library to open. Hope to return. Everything was pretty good at this hotel. Rooms were clean and somewhat spacious. Lots of pillows on the bed. The breakfast lady was a little edgy due to not having time off. I think it's important as hotel guests to want good service but also understand that people have bad days. It was a good hotel and I would visit again if in the area. "Bad stay at Best Western Plus"
Nice Hotel. Housekeeping staff and girl at Front Desk was very helpful. They made my stay comfortable and great. Housekeeping staff seems work hard to keep rooms clean. Got clean room and bed was clean. I was able to login with free wifi to take care of my work and personal emails, so it was a good experience at this Hotel. Wanted to use a card different than one used to hold room. wanted to use prepay gift card, and balance on debit. The girl screwed it all up. Even said she didn't know what she was doing. Had 2 opportunities on phone to ask owner hpw to do (didn't ask). Took a week to get this straightened out with Best Western Plus, Marion, Ohio. Nice hotel, excellent service. Hotel staff was very helpful and welcoming. We had good time in pool and spa. Room was clean and beds were clean and comfortable. Hotel serves good breakfast. We will stay here again! "If you value your belongs DON'T stay here"
"Be careful! They may charge you double." I booked two rooms and prepaid through Expedia. When I checked in, I presented my company credit card for deposit and they issued receipt stating balance is Zero as Deposit is refunded. Two months later, I found I didn't only paid $91.73 x 2 rooms for Expedia, but this hotel also charged my company's credit card $77.97 x 2 rooms. I called the hotel couple times and they always insist manager is not available or manager is not willing to talk with customer directly, and receptionist is only saying that Expedia didn't pay for my rooms, so Hotel has to deduct from my credit card directly. Receptionist at the hotel asked me to talk with Expedia to solve this issue. I use Expedia to book a hotel in business trip a lot, but I have never experienced this before. I made an enquiry to Expedia whether they have paid to the hotel or not, but I haven't got clear answer, and after two weeks, hotel left a voice mail message to my phone saying Hotel has refunded $77.97 x 2 to my company's credit card. I still haven't got clear reply from Expedia if they promptly paid to hotel or not, but highly doubtful if Expedia didn't transfer my payment to this hotel. So I assume that this Hotel might be trying to deduct twice from their customer booking through travel booking site. If you are going to book a room with this hotel on your business trip, you have to be really careful as this hotel is not very honest may charge you anything without notice. "Fabulous hotel in best location"
There are no word to describe how happy we were to have chosen this property during our visit to a close family friend.The staff was fantastic and made our stay so enjoyable.It started with smooth check in ,a cup of free coffee in lobby.Room was clean,comfortable bed,great decor ,free wi-fi, and flat screen TV. 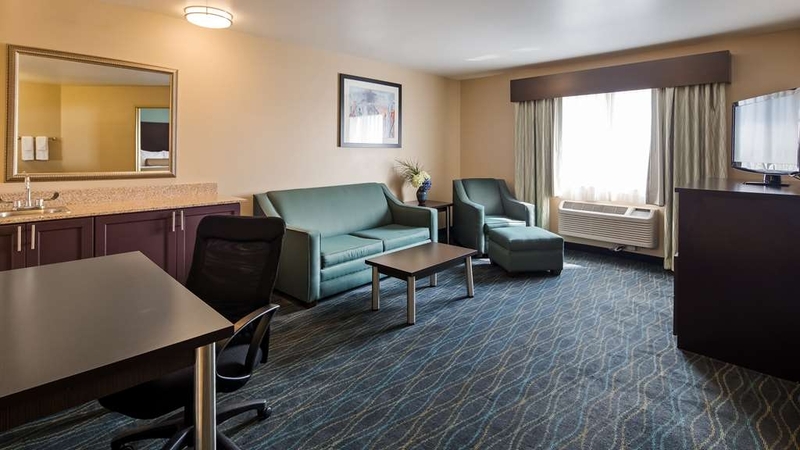 They have hair dryer in bag in bathroom,we can carry anywhere in room.The location close to Meijer, was fantastic and was easy to shop and return to the hotel.We will stay here on our next visit without hesitation. Really like this hotel. Location is great. Nice amenities. Close to Wal-Mart and Meijers. Lots of restaurants nearby. Rallies sports bar is a good one. Centrally located to all the quaint little towns My Gilead, Kenton and Marysville. "Clean but a little dated." Decent place for an overnite. Breakfast, which was advertised on their sign as better than average wasn't; in fact at 7:30AM all that was left was the typical pastries and cereal plus some eggs. Rooms and hallways were OK, definitely not new. Hot tub, which I asked about, was basically a large hot bath with no appreciable agitation. Will be back to stay here again. Great breakfast friendly staff. Loved spa. 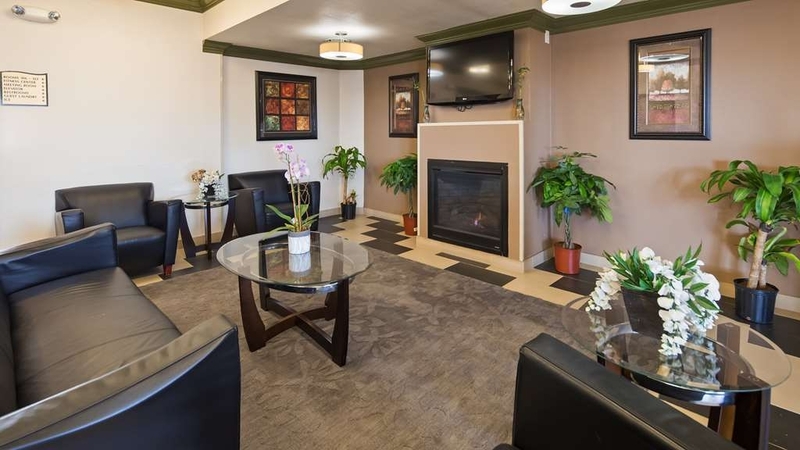 Close to restaurants and airport if you are traveling. We're leaving early for travel before breakfast setup staff offered us muffins and fresh fruit for our travels. We had excellent stay here at this Hotel. Hotel staff was nice and helpful. Room was very clean and neat. Great Location. Had good breakfast and had a good time in Spa. I enjoyed my stay here definitely will come back. "Nice bed and quiet, but lacking in amenities." This place had a nice bed, the shower lacked pressure and was hard to regulate the hot and cold. Also no snacks but they did have TWO soda machines. Desk clerk on check-in was semi helpful. The entrance, last time we were there we had to wade through puddles over our shoes and this time we had to be very careful not to slip on the ice, it is like the do not maintain the front for safety. I stayed in this hotel for one night during my sons state robotics tournament in Marion. The hotel was one of the cleanest smelling hotels I have every stayed at. The king size bed was comfortable. There was plenty of hot water for showers. 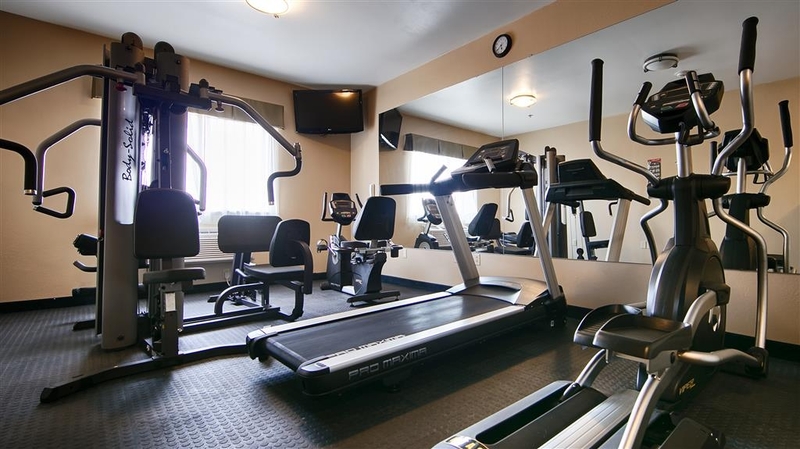 It was in a perfect location walking distance to grocery stores and restaurants. Staff very personable and acted like they liked their jobs. Heat was off in room upon entry and room was a chilly 63 in late November. Room was clean and beds were comfy. The room was the only positive experience here. Lights are on timers so I ate breakfast in the dark in the designated area. They turned all of a sudden all at once minutes before I finished. "Hot" tub was dirty and cooler than your average bath water. Add to this that there were no towels in pool area and front seat clerk required convincing to give me a room towel as they were "not supposed to use room towels in the pool". As a paying guest why is this my burden to bear. Was charged at booking days prior to checking in and had to call to have charges reversed until I checked out. These owners seem to be conserving at the expense of their customers. Lights, heat, laundering/supplying towels, food offerings. Part of me feels sympathetic to the owners of this hotel in a seemingly struggling economic market. However my dollars likely would have served me better at a competing hotel. First impressions last and I would never stay here again nor would I recommend it to others. "rooms smell like sewer ." This was my first visit to this property since the motel was a Super 8, many years ago. The Best Western rate was just too high. This month, while still not a great deal, the price is at least compatible to the other hotels in town. While $89.99 per night is still a bit steep for the offering and the area, I gave it a shot. 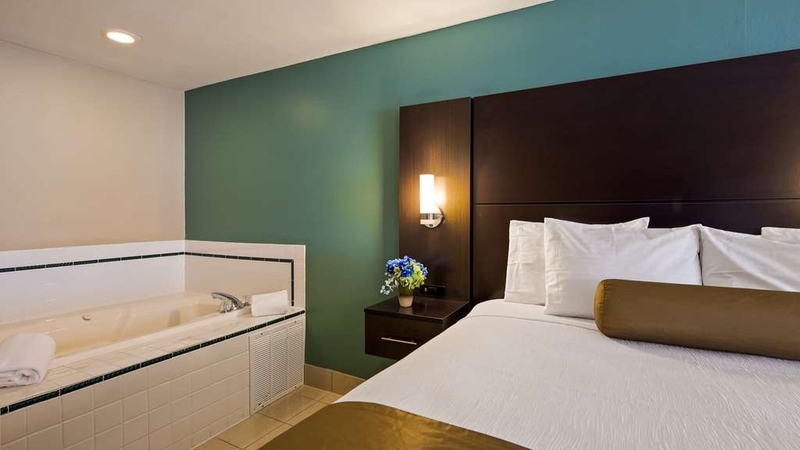 Since the days of the Super 8, the property has been heavily renovated. 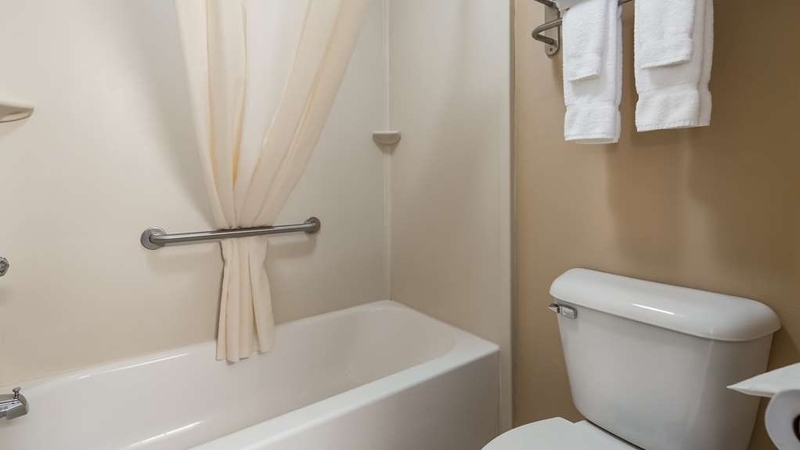 Only trace of the Super 8 is the smaller rooms with sink being outside the toilet / tub area. Room and hotel are very clean and well kept. I checked in on a Saturday evening for a multi-night stay, front desk clerk said breakfast goes to 10am, he left the part out that its 10am on Sunday's only, It ended at 9am on weekdays which I missed breakfast on Monday. The hot breakfast was okay, not exceptional. 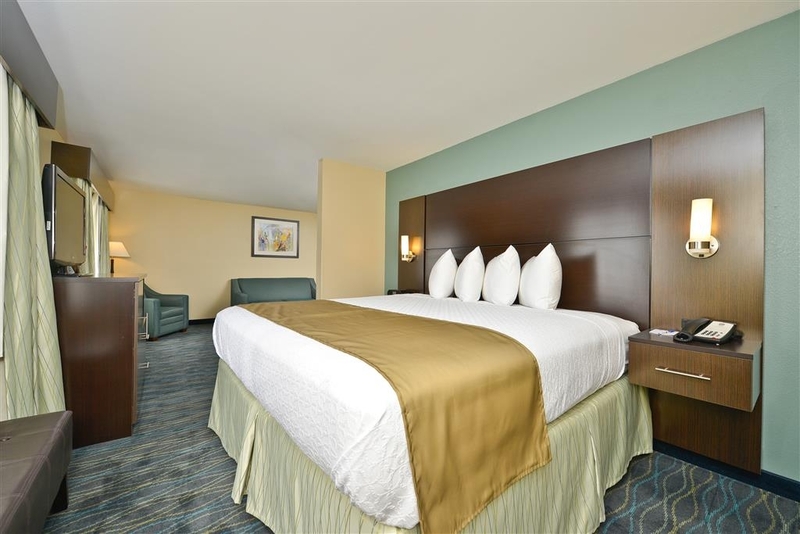 The hotel is just east of US-23, Within walking distance of the hotel is a Meijer Gas station / convenient store and a Stake n' Shake restaurant. The Meijer Super Center is located behind the hotel, for those who don't know, Meijer is similar to Wal-Mart, sells just about everything you need, including food. I had no issues during my stay at this hotel, and I will consider staying here again depending on the rates. "What makes a Best Western "Plus"?" I'm not sure what makes a Best Western a “plus,” but the Best Western Plus in Marion, Ohio looks about the same as any number of Best Westerns (without the “plus”) in which we've stayed. Perhaps the furniture may be a bit more modern, but I'm not sure. However, this hotel has good accommodations for the handicapped. The roll-in shower is very large, allowing free movement for a handicapped person to move around with the necessary equipment. Unfortunately, the additional space in the bathroom and shower is at the expense of the bedroom. There is insufficient space to get a wheel-chair between the (very comfortable, by the way, pillow top king-sized) bed and the furniture unit which houses the refrigerator, microwave and dresser drawers. The wheel-chair must be collapsed and moved to the other side of the room, and then re-opened for the guest to sit in. 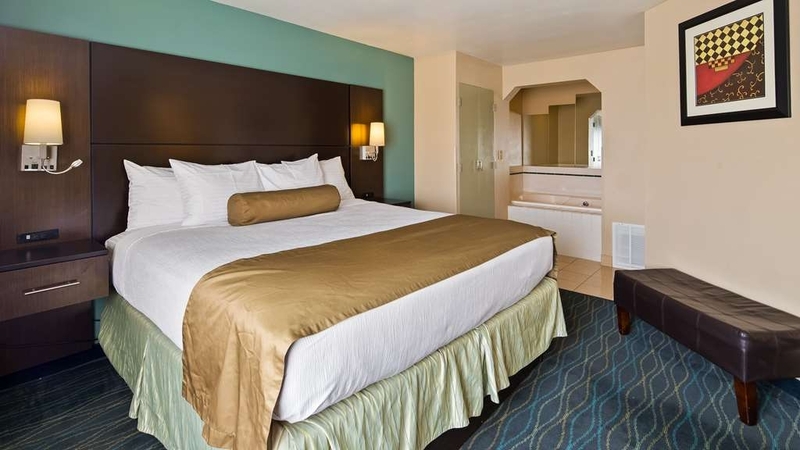 The guest must also be able to get to the other side of the room, perhaps using a walker, or be confined to a very small area on the door side of the bed. The breakfast provided is about like many other BW facilities, including the waffle machine. Eggs and bacon or sausage are also provided every day, but on Fridays and Sundays, biscuits and excellent sausage gravy are added. The housekeeping staff do an excellent job, and are very helpful. Our room had apparently recently had the tile floor in the bathroom re-grouted, but the contractor just walked away and left the excess grout. It looked very dirty, but it was only grout. The housekeeping staff and maintenance staff cleaned up the mess as well as they could, and made it very usable. Hopefully, the contractor will be called back to finish his job. Staff at the front desk are also very helpful. I apparently had some sort of conflict between the wi-fi and the search engine I was using. The front desk staff tried to help me resolve it, but it was beyond their expertise. I can recommend this facility to travelers, but I still am curious about what makes a Best Western a "Plus." Got into town about 3p.m. Checked into my room. Was very nice, clean and well stocked. The staff was very nice and friendly. It was nice since the night before my room lacked something. There was everything I needed for a pleasant stay. The breakfast was great. Had nice variety of things for breakfast. The coffee was pretty good. I usually get coffee that tastes like it had been brewed for a while and has that bitter taste. This stuff was great! We don't usually stay at a Best Western our host made the reservations.But we were pleasantly surprised.The hotel was nice and clean.The staff made our stay more than welcomed. The only thing we would complaint about is that the place does need some updating. Great location-close to everything. "worst managed hotel I have stayed at"
Management would not redeem Best Western Travel Certificate. Front desk unable to transfer calls to room. Hotel was dirty--people in our group checked into dirty rooms. Front desk staff does not like the management so will not do anything to help. Our group stayed during the hotel's busiest week--The Little Brown Jug. Wonderful hotel and staff!! Clean room and very comfy bed!! Would recommend this hotel to anyone staying in the Marion, OH area.. I have nothing negative to say about this hotel. It's really difficult to come up with 200 characters..
"How not to get your room cleaned"
This is our second stay at this hotel in the last six weeks. In July, we stayed two nights. This time (Labor Day weekend), we are staying three nights. On both stays, our room was not cleaned. On both occasions, we left our room the morning after our first night's stay at about 10:15 am and returned between 4 and 5 pm. Neither time was the "do not disturb" sign left on the door. On both occasions, we returned to the room and it had not been touched by housekeeping--and housekeeping was already gone. We had to empty our own trash, make our beds and take our towels to the front desk to get clean ones. I could perhaps forgive one instance, but twice is unacceptable --especially when the manager, during check-in, specifically asked if I wanted housekeeping during our stay and I said YES. I've never been asked before if we wanted housekeeping when checking into a hotel--but if you ask me and I say "yes," then my room had better be cleaned when I return! We have one more night to stay and I will be speaking to the manager in the morning. I don't pay for a hotel room expecting to clean my own room. We stayed here this time because we had a $50 gift card we had earned and I wanted to use it. I'm not sure we'll stay another time! To be fair, the hotel is clean, the beds are comfortable and the staff has been nice. 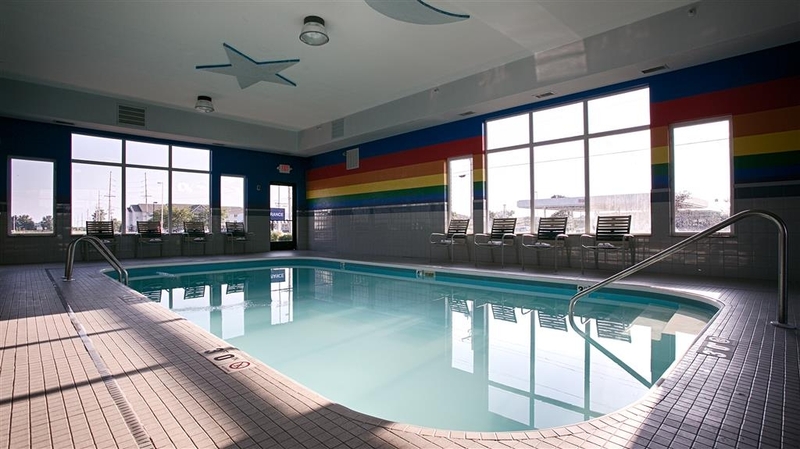 The indoor pool is not heated, making it too chilly to swim. Haven't utilized the free breakfast. Also, the pizza boxes I left in the vending area last night were still there this evening (24 hours later). It appears there are some issues that need resolved, especially with housekeeping. We come to Marion every 4-6 weeks and will most likely be taking our business elsewhere. "A good choice but inconsistent"
Booked roon after checking it out on line. The hotel looked like it got a very good remodeling. The room was very clean and comfortable. It was also quiet and the staff was friendly. The breakfast was your standard motel breakfast. Unfortunately the pool area lacked. The whirlpool lacked any powerful jets and the temp was not hot enough. Also there were no clean towels at the pool. The chlorine was a bit much in the pool also. The room shower lacked pressure and I could see through my washcloth. It is a good motel but it could be better. The beds were very comfortable but placed very high which could be a problem for shorter individuals. My mother-in-law is only 4'9"and is 82-so it was challenging for her to get in. Otherwise the location is good. Breakfast was the usual fare but nice to have. We had a good stay at this hotel. The rooms looked great and had a refrig and microwave. The best part was the comfort of the bed--great mattress! The A/C ran extremely cold and it was hard to control the temp--we actually turned it off for awhile to warm up. I like a cold room though so that was just fine with me. The only thing I didn't like was the smell in the hallway. It was musty smelling. With such nice rooms, the hallways spoiled a perfect 5 rating. The location was good, right off the interstate. They also offer breakfast but we left so early we didn't get to try it. I would recommend this hotel to anyone. Our stay was excellent. The staff worked hard to make our stay very comfortable. 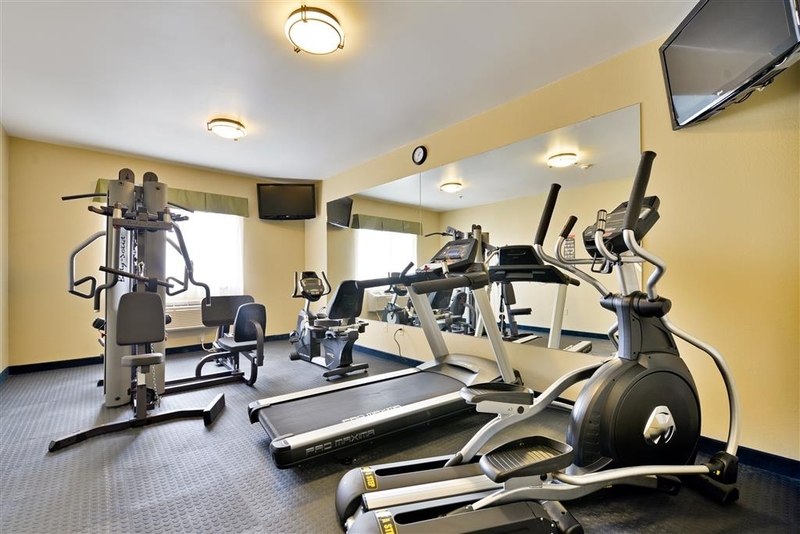 The price of the hotel was extremely wonderful especially due to the fact that the hotel had everything to offer, like a pool, a fitness center, a variety of food for our morning breakfast, in which I would say was very tasty. Thank you for making our experience at Best Western great. Good rest. Great beds. Cozy and clean. The service was great. Breakfast was fast and hot. I highly recommend it for weary travelers. The price was perfect. It is a place I stayed a year ago and the place was g8t them too! I am impressed by the quality and after a year !! The staff was super friendly and helpful. Room was clean and hotel was very well kept. Only thing that could have made this hotel better would be if they kept water stocked all day like they do their coffee. Other than that, absolutely no complaints! 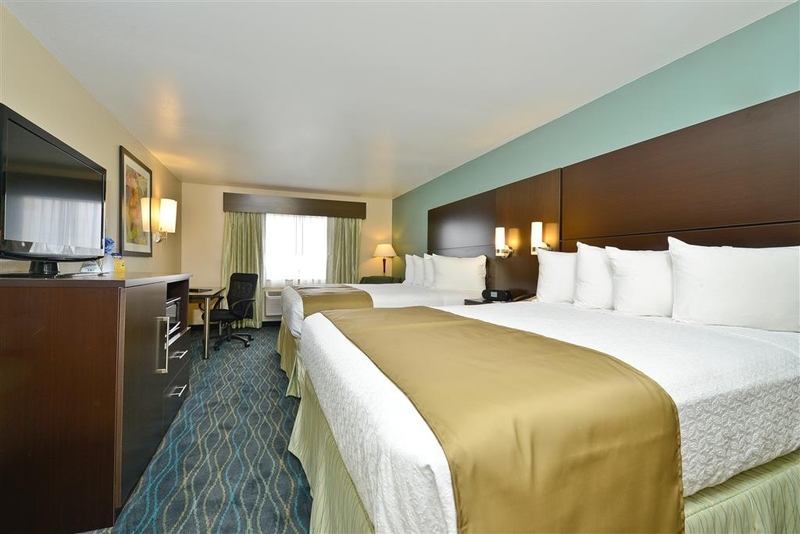 We traveled to Marion for our son's national SCTP tournament and booked our room online. 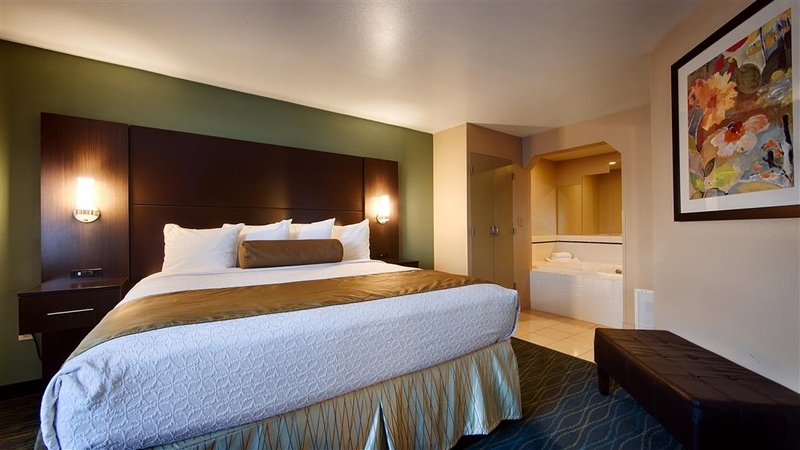 After a hot day outside, we needed a clean, efficient, hassle-free room to return to and we were not disappointed. We enjoyed the breakfast each morning, made use of the gym and pool, and all with ease. Fresh towels, courteous staff, and overall air of efficiency. Very well run hotel. For the price point you can't beat it. Would confidently recommend. The pool could have been heated or heated more than it was, as well as the hot tub rather low temp and not much jet pressure. The control for the hot tub was on the other side of pool area and it was just on/off. "Wow, they still have bed bugs." Not only does this hotel smell bad but I found two dead bed bugs and blood spots on the sheets of the pull out couch. 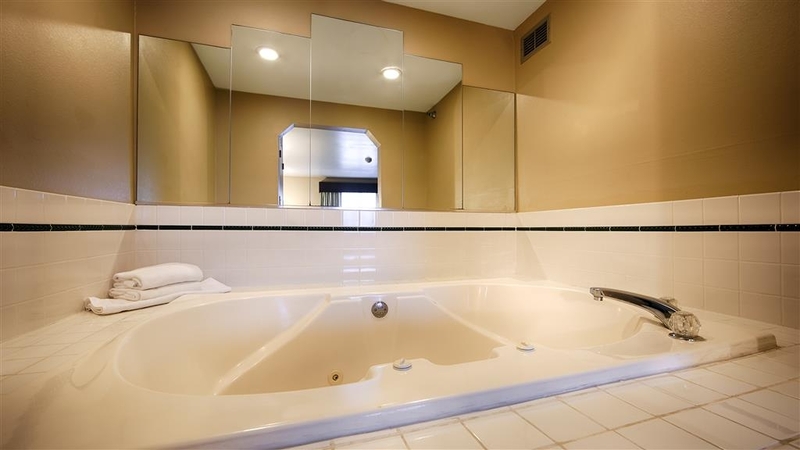 This was in the jacuzzi sweet so I can only imagine what the other rooms were like. The manager downplayed it and no refund was even given. I will not make the mistake of staying here again. In town for a baseball tournament and stay was great. Clean room. 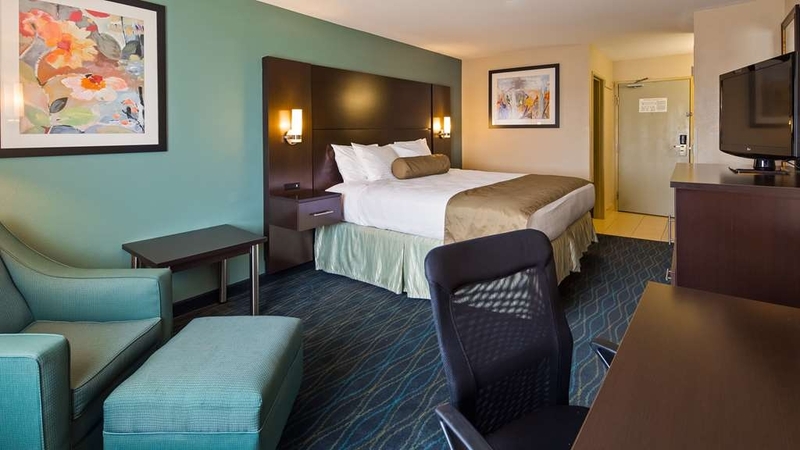 Comfortable bed and WiFi and HBO at the ready. Was easy access to games and to food in the area. Breakfast was basic but good. Overall a good stay and would recommend if in the area. If you are a group looking to stay here I would suggest you stay away. Two months ago I called and block off 20 rooms for my softball team. We are schedule to play our national tournament here. The sales manager sets up the rooms for me. Sends me details I then have to sign and fax back to her. That's all taken care of. Well I get a phone call from. The gm. He says you have a reservation for July but we no longer have rooms available. He gives me no reason why I lost my rooms just that they are now unavailable. We are now scrambling to find a place to stay. Looks like we will have to stay about an hour away from our event. I have never had issues like this before but I guess that's how Best western plus likes to treat their customers. Botto, line stay away from this hotel. A very nice hotel especially for being in Marion. The beds are super comfortable and the staff was pretty nice. Had a couple issues of one that didn't seem pleased to help me when my keys weren't working (which happened every day I stayed) but the majority of all of them were very nice. The lady down in breakfast was super sweet. And Raj was super nice as well. Housekeeping missed some things in my room (found some candy wrapper in the drawer) but that's to be expected and it was really just one wrapper so not a big deal at all and they definitely made sure I had everything I needed. I'll definitely come back in the future it was a nice stay for the short time I was here visiting family. My stay was great it was a wonderful thanksgiving because we went to Ohio to spend Thanksgiving with my daughter.,the spa was great the pool could have been a little warmer, but overall our stay was great. The owners are trying, but they have far to go before they sleep. The property has been renovated, fresh paint, new carpet, nice furnishings. The bed was very comfortable. However, the negatives ourweigh the positives: 1) Very poor water pressure on the second and third floors 2) Smells - Cigarette smoke is getting into my second floor room somehow 3) Smells - In the afternoons the smell of sewage is everywhere 4) Breakfast - Variety was OK, quality was VERY poor 5) Staff - Attitude is overall harried and grumpy. Its as though having people stay in the hotel is a nuisance to them. Really nice updated hotel. We stopped overnight while traveling and room was clean, bed comfortable and very quiet. Reasonable price. Easy off and on the highway. Lots of restaurants, gas stations close by. "Nice hotel for a quick stay"
I was in the area to take care of family business and this hotel was pretty nice to stay in. The front desk clerk was very friendly and suggested several local restaurants for dinner. Breakfast was ok for the most part considering that the hotel offered hot food. The hotel had indoor pool and I wish I could have brought my bathing suit to relax. 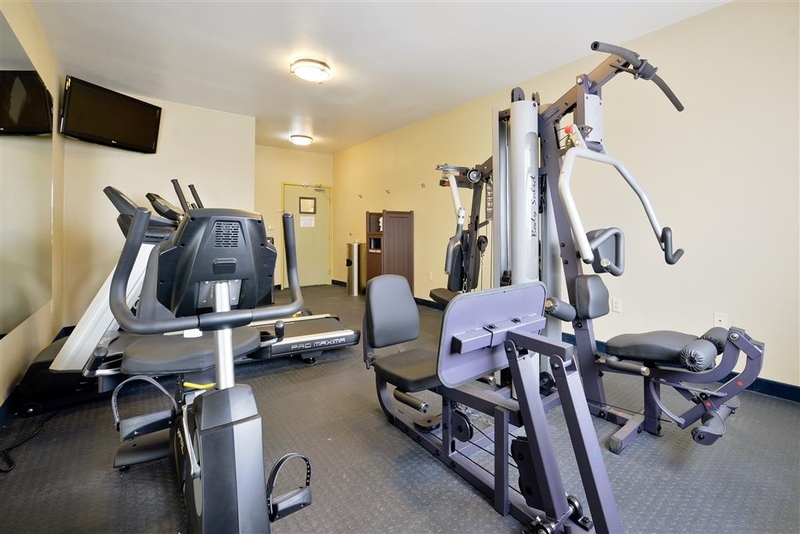 It had a fitness center too but I didn't use it. My room was comfortable so no complaints there. After outrunning rain for two days in the Carolina.... It was heaven to find this hotel.. For a very reasonable price, we found this clean and fresh spot. Great mattress and pillows. Slept like a dream . The previous night our hotel was pretty gross , so high standards of cleanliness are so appreciated. The pool is sweet and the hotel is quiet. "Blood spots on the sheets from bed bugs were found by myself in October of 2014." Blood spots on the sheets from bed bugs were found by myself in October of 2014. I was horrified. 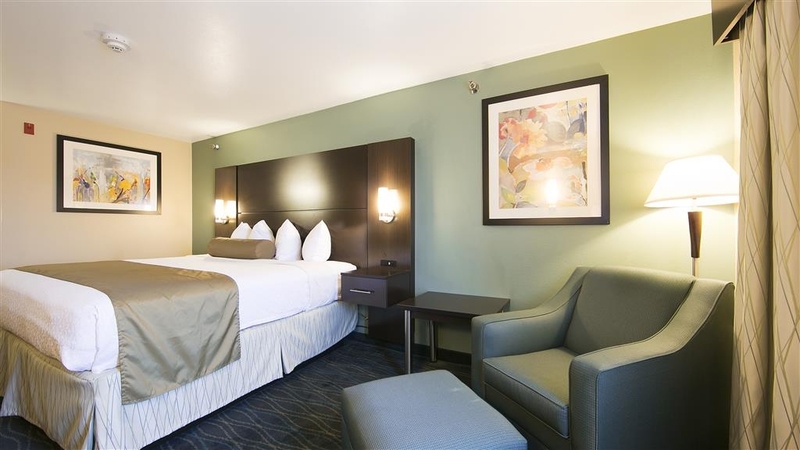 I was already aware of the hotel's bed bugs and town's problem with bedbugs the previous year before, however, now the hotel was a Best Western under new management so I felt it was safe to stay there. The blood spots on the sheets was just the beginning, there were other issues with my room but I did not come across any bedbugs, thank God. Management apologized and gave me a voucher for the same amount of nights stay. I used that voucher just this past month, 9-3-15 through 9-7-15. Upon arrival, I had paid to upgrade to a Jacuzzi suite room, the mini-fridge in the room was broken (I had groceries). I called the front desk and let her know, she apologized and said this was unacceptable (I had informed the staff of my last stay so they were really trying to make sure things were right.) The staff member said they would switch the refrigerator in my room, as I had already unloaded everything and did not want to load it all back up so late at night. As I said the staff were kind. As I was waiting I went into the bathroom and noticed a hair in the tub. Yuck, I thought, well then I saw another one on the other end of the tub. Sigh, now I know I'm going to have to ask to switch rooms anyway. We go to a room down the hall. We enter, I look at the bathroom and again point out to the staff the hair on the side of the shower. She apologizes and says this is unacceptable and says we should switch floors because it is probably the same person cleaning. I am keeping my cool because she is so nice but I am extremely exhausted by now and very disgusted. We enter the suite with the Jacuzzi tub now with the extended area as she had offered me this room to try to make it right. I am ready to give up and so I am really hoping not to find anything. I take a quick look, tell her it will be fine and proceed to try to unpack a bit. I go to the restroom when she leaves and yes, as I am sitting on the toilette I see between the grout lines in the tile a dead, red crab looking bug. I couldn't breath. I called and so then she sends the manager up. He sees it and says it is not a bed bug. (but apparently sees nothing wrong with there being a bug in my room). I'm having trouble believing this is all taking place. Since I had used a voucher I knew I could not ask for my money back and go somewhere else. I tried to compromise and told myself at least the bug was dead. The next night my cousin stayed with me and when we pulled out the sleeper sofa in the top suite of the Marion OH Best Western Hotel the dead bug you see below was on the sheets. They said I wouldn't have to pay for the upgraded room. Are you kidding? I am freaking out and my poor cousin in now afraid she is going to take bedbugs back with her. (even though the bug is dead) Well, because this is a franchise and has changed hands the owner's in Marion doesn't want to deal with me unless I am willing to accept a full 4 nights voucher from them to stay there again. Obviously, I explained I do not want to ever stay there again. Also, because the Main Best Western office will not deal with my complaint because it is a franchise, I was given a voucher for one night's stay at Best Western. All I was asking was the full reimbursement of the 4 nights stay. I believe that was more than fair. I did not want to risk getting the cleaning staff at the hotel in trouble by making a big fuss out of the whole thing, which is what it came to now because the Best Western failed to address my complaint with decent customer service. Company's that franchise out under their name need to be held accountable when a business owner buys into their name and provides less than acceptable accommodations and/or treats their customer unfairly. I stayed at a Best Western in 2014 trusting that because it was a franchise it would be bed bug free, even though I knew it had been a problem before it became a Best Western a year earlier. I came back in 2015 to give that Best Western another chance. It failed again and I paid the price by going through this enormous experience and taking the time to type this entire story so that you know how Best Western deals with it's customer's and also so you know not to stay at the one in Marion because this bug was in the bed and looked like the other one that was in the bathroom. Then again, if you stay there and bring bedbugs back home you could sue and that may possibly get their attention. God knows, being kind didn't, as they blew me off obviously, tired of dealing with me and since I wasn't threatening to sue they didn't really bother to listen and respond appropriately as a business should. So here we are and you guys can't sue me for slander because it is all the truth. 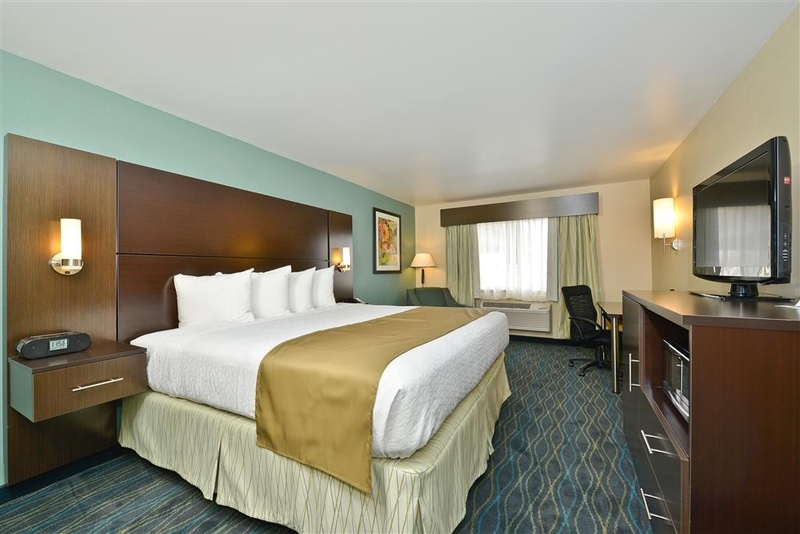 We have been using this hotel for a few years and it always offers excellent value and is a very conveniently located hotel just minutes off the highway. Great restaurants nearby and notable staff commitment to serving their guests. 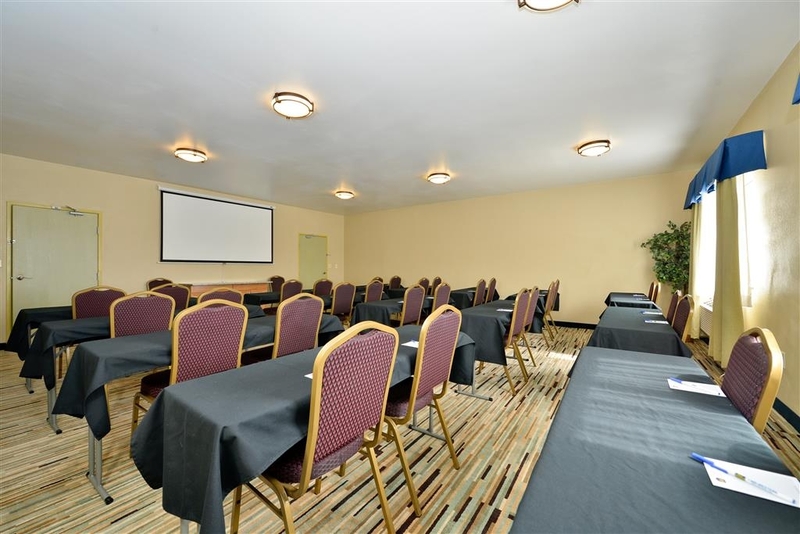 Even though the hotel was booked to capacity the service was excellent and the staff were helpful when called upon. Beautiful room. Great beds and pillows. 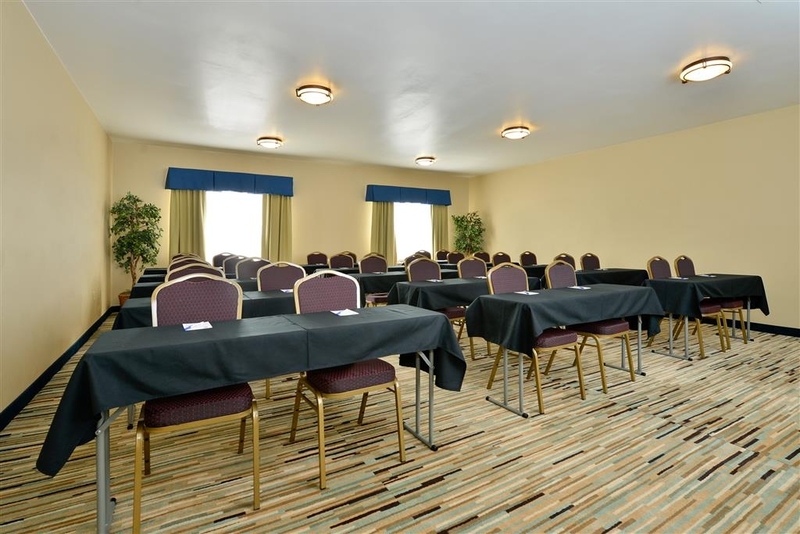 The room was extremely clean and the decor was pleasant. The staff was very helpful and friendly. Good breakfast. I recommend this hotel to everyone traveling through Marion. Customer Service was awesome. The staff was awesome making sure everything was great. Lisa was apologetic that it wouldn't print out my receipt that I paid in full with cash. I am just waiting for it to come to my email. We needed a place to stay the other night after my husband sprayed some chemicals inside the house that made it hard to breathe. This hotel was great at getting us in ASAP. Very accommodating staff, really nicely updated hotel, and a decent breakfast. I doubt we'll need to stay again since it's in the same town we live in, but if something ever happened again, this would be our first choice.